Our extensive ranges of Mosaic tiles boast both contemporary and classic designs so you can really customise your home décor to create a stunning finished result. 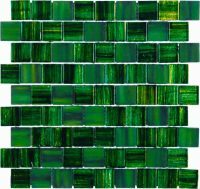 With great offers on selected ranges you can add natural stone mosaic tiles to your home for a classic look, or you can brighten up any kitchen or bathroom with our range of glass mosaics. Furthermore, find mosaics suitable for wetrooms and bathrooms without the worry of not having a wide selection to choose from..
Metal or Metallic tiles can create a fascinating look within any kitchen or bathroom with gorgeous designs and colours available. We also stock Mosaic Fixing Mesh which supports your tiles meaning your mosaics are held perfectly flat and evenly spaced, making tiling quick and easy! With the plethora of tiles available in the market, mosaic tiles, continue to remain an absolute classic choice for your home. When plain glossy surfaces or polished marble areas need a generous update, mosaic tiles can pretty much be game changing. Painstakingly put together to create stunning textural and visual effects, a slab of mosaic can bring any kind of wordly inspiration to life, or just simply add a delightful level of quirk. And for those artistically inclined, mosaic tiles skillfully put together create works of art on their own. The history of mosaics goes back centuries. Starting with the ancient Mesopotamian civilisation, every large human settlement has given its own design and rendition to mosaics. 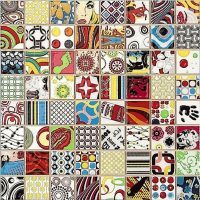 From the pebbled mosaics of Greece to the colourful and geometric wonders of Turkey, mosaic tiles have through the ages combined all forms of aesthetics towards one common goal, stunning and sturdy surface décor. So where exactly does one begin? Too much, and it could look chaotic. Too few, and the impact leaves something to be desired. Planning properly goes a long way, to stitch together the ultimate look you have in mind. 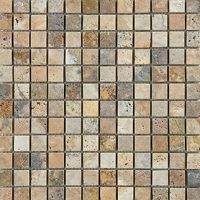 The information below draws from classic and modern ideas, to give you suggestions of where exactly to place that decadent mosaic tile. It is easy to picture mosaic tiles used in water-oriented areas, reminiscent of Mediterranean hotels and wide-sprawled villas. But the possibilities of experimenting with mosaic tiles remain endless. Splashes of white, black, and grey, interspersed liberally with all shades of the sea. That, at an instant would define a nautical-inspired theme. And even if you limit it to a confined area such as your bathroom, or go all out and take it to the kitchen or your deck, this classic aqua theme breathes a fresh lease of life to your spaces. Choose from mosaic tiles that have tessellated surfaces, or small cubic repetitions for maximum impact. Start by an image search of the terms, ‘Morocco’ and ‘riad’. Stunning, isn’t it? 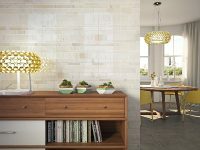 Whether inspired from the Spanish Alhambra or some long lost souk in Casablanca, geometrical mosaics that accentuate a variety of patterns including florals, relief, dots, and circles look amazing in certain spaces and transform your room. If done up using a colour palette to suit the rest of the house, this theme can create an impact that would outdo most contemporary styles. With deeps reds and terracotta colours, it can create a beautiful warm and homely effect in even the darker of the home. Nothing spells luxury like a central focal wall scattered with a pattern of metal, metallic-look, and mirrored mosaics. And such a leading style could work for anywhere such as the wall behind a fireplace, or even the back of your kitchen cooktop. A well placed backsplash can really craft a high and wide look to the kitchen that requires little maintenance due to durability and ease of cleaning. The key is to choose a large pattern of laying that creates a beautiful, organic-style design, and a mix of colours that complement every other tone of the room around. Speckles of gold here and there? Of course. A small row of a delicately patterned mosaic tiles running all along the ceiling boundary? Sometimes you don’t need to leave one of the largest finishes. A few mosaic tiles accentuating doorways and entries? 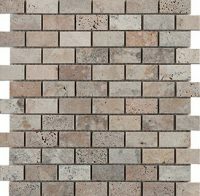 Or a natural stone mosaic tile border running all along the skirting of your home? If you like these ideas, this theme may just be for you. Simple, not jaunting; minimalist use of mosaic tiles to highlight just certain areas of the house can bring in an artistic touch. And it will not break the bank either. Stick to neutrals for maximum blendability. Once you do your visual research and have an idea you like, its time to decide upon its actual execution. Mosaic tiles can be overwhelming—bright tones excessively used can look garish, or muted ones put across ceiling to floor can look plain dated. But if you plan the usage with care, they would instantly liven up a space and provide years and years of durability. The following are some examples where different styles of mosaic tiles can enhance the ambience. This is your private area, such as the bathroom. And this space can completely be different from the rest of the house unless you have floor to ceiling glass walls to section certain areas of the bathroom. This is where you can let the quirk flow, or choose whatever collection or theme you fancy. Tiles are an integral part of this moisture heavy room. And using mosaic ones instead of regular ones in materials such as ceramic or porcelain can help you achieve the great look you want. These would be the spaces that serve decorative purposes; these areas could be functional too, but you don’t want wear and tear in your carefully curated mosaic mythology-inspired pattern now would you? The best type of mosaic tiles used in such areas include luxury ones, handcrafted ones, and coloured ones. And it is a great way to create a massive transformation on a wall or part of it without using traditional wall decorative elements. When subtle mosaic patterns are used across floors, it can beautifully transform the home. 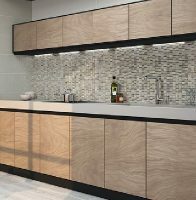 An alternative to big slabs of marble, granite, and wood, sturdy and neutral mosaic can also go on worktops, splash-backs, patio walls, and stair risers. You may also want to choose the most resilient and high-quality professional mosaic tiles to make sure that these areas remain refreshed and pristine throughout endless usage—from walking on them to spillages and scrapes. Do You Need a Large Amount of Tiles? 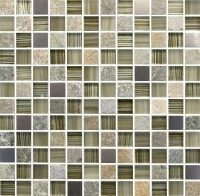 Like the all our other variety of tiles, the mosaic tiles listed in Atlas Ceramics also have the easy tile calculating feature. But then again, a lot of the mosaic tiles in fancy patterns do not have a straight edge. This needs to be considered when deciding upon how much you need. We are here to help anytime you have doubts; just ask us and we will do our best. If the mosaic tile design and outlay is very intricate, your professional tiler would be able to give you a precise idea of how much you would need. Nevertheless, don’t forget to make allowances for cutting and breaking. As recommended for all other tiles, always order an extra set for future maintenance. Even though Atlas Ceramics provides nothing but premium quality, tiles put in areas used frequently have a certain degree of risk. Request one of our samples if you’re unsure. A heavy pan can chip one by falling on it, or a red wine spill can stain one. And instead of having to update the entire room because of one unsightly reason, having some extra tiles on hand, 15 years from now will allow you to replace what you need easily. 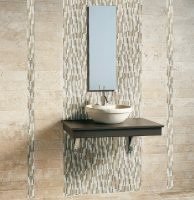 As with other tiles by Atlas Ceramics, our mosaic tiles are sturdy, and come with a quality assurance. And a little care and maintenance will go a long way in ensuring that your mosaic tiles remain gleaming and at their best for decades to come. 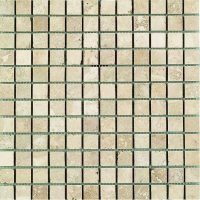 For decorative mosaics, it could be tricky to keep all the grouts clean—especially if the mosaic pattern has a relief feature. Use a damp microfibre cloth to wipe regularly and avoid using any kind of harsh chemicals. Dry brushing with a static brush can also remove dust settled between the gaps. Mosaic tiles at functional areas such as kitchens and bathrooms can be simply rinsed away as needed. If you have a spillage that requires some kind of a chemical cleaning agent, we recommend that you test it out in a hidden area to prevent untoward erosions or damage to the surface. Avoid mold formation in damp areas by keeping those spaces well-ventilated. The first sign on mold is an orangish tint to your light coloured grout. It could also be small black patches. Keeping moisture levels optimised is the best way to prevent mold in the long run. Enjoy your newly installed mosaic tiles and reach out to us if you want to know about anything else. We are always happy to help. Finally, visit the Atlas Ceramics Installation Gallery to see some creative usage of mosaic tiles that we supply. Our supplies of quality mosaic sheets is one of the largest in the UK. Prices, deals, offers, samples and delivery details are available across our online shop or you can contact us direct today for more information on our craft and company to shop with confidence.